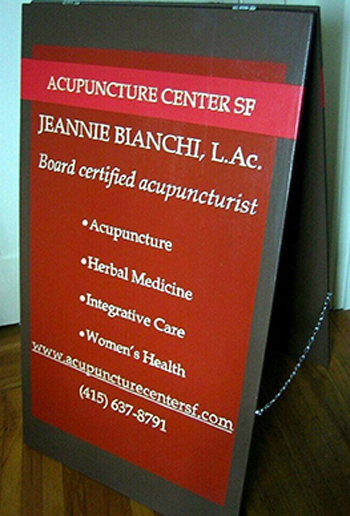 Transportable signage announces the services of a San Francisco acupuncturist at multiple locations. As the sign's colors, design and typeface are based on her exisitng business card, it becomes part of her business identitly. San Francisco, Ca.To see the business card, click link below.